the line of junction of the frontal with the two parietal bones of the skull. the serrated transverse suture between the frontal bone and the parietal bone on each side of the skull. The irregular line of junction of the paired parietal bones of the skull with the frontal bone. n meeting place on the skull, of the frontal bone and the anterior parietal bones. Line of junction of frontal with two parietal bones of skull. 8 As stated earlier those who survive with or without some sort of coronal suture surgery need maxillaofacial surgeon for advancement of fronto facial and mid facial part of skull to correct the proptosis and for cosmetic reason. 6 They usually die in infancy unless they are operated for coronal suture in early infancy. Endocranial fusion of coronal suture was observed as early as 20-29 years and completion by the age of 50-59 years, other workers like Topinard. 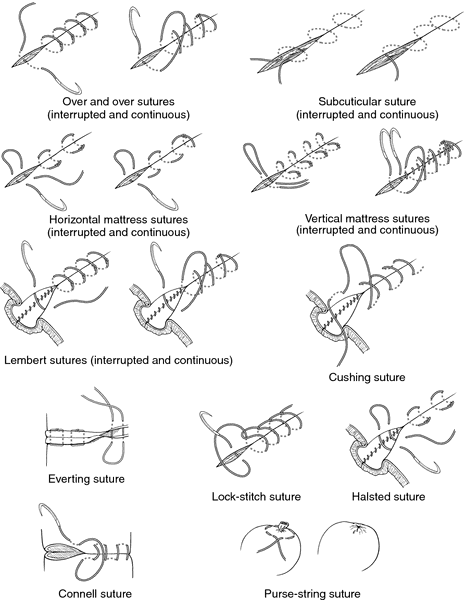 Endocranially: Coronal suture closes earlier followed by sagittal and lambdoid. Crown short, rounded anteriorly, middle length prominently shorter than width between eyes, anterior and posterior margins parallel, coronal suture distinct, not extending to anterior margin (Figs. 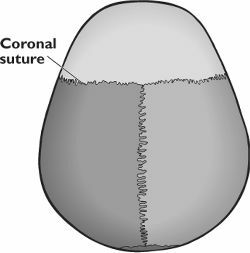 Crown with yellow to brownish depression on each side of coronal suture, coronal suture brown. 05 mm), anterior margin with lamellae clypeales between well-developed lateral lobes (adnasale); nasale rounded, projecting only moderately beyond mandibular origins; venter extensively sclerotized, labrum not evident; coronal suture length 1. 05 mm), extended well beyond the origins of the mandibles to form a prominent frontoclypeal projection (nasale) with well-developed lateral serrated notches; venter of nasale extensively sclerotized, labrum not evident, coronal suture length 0. Head lengths were measured dorsally from the posterior margin of the head to the anterior margin of the frontoclypeus along the coronal suture. 83 mm), tapering posteriorly to form a poorly defined cervical region with prominent occipital suture; coronal suture 0. Head lengths were taken dorsally parallel to the coronal suture from the posterior margin to the anterior margin of the frontoclypeus, excluding clypeal lamellae. 05 mm), well defined cervical region with a small anterolateral cuticular inflection and no occipital suture; coronal suture (length x = 1.